Steamboat is actually a complete mountain range: Mount Werner, Sunshine Peak, Storm Peak, Thunderhead Peak and Christie Peak. 2,939 acres of permitted terrain offer a diversity of trails for all levels of ability. Gladed areas of Sunshine and Storm Peak are Steamboat's particular claim to fame with Champagne Powder in the trees for the most avid powder hounds. For intermediate and novice skiers, Steamboat's greatest asset is the Sunshine Bowl, locally referred to as "Wallyworld". This large expanse of mellow terrain on the upper mountain offers beginners their first taste of what it's like to "ride the mountain" without confining them to the base area. 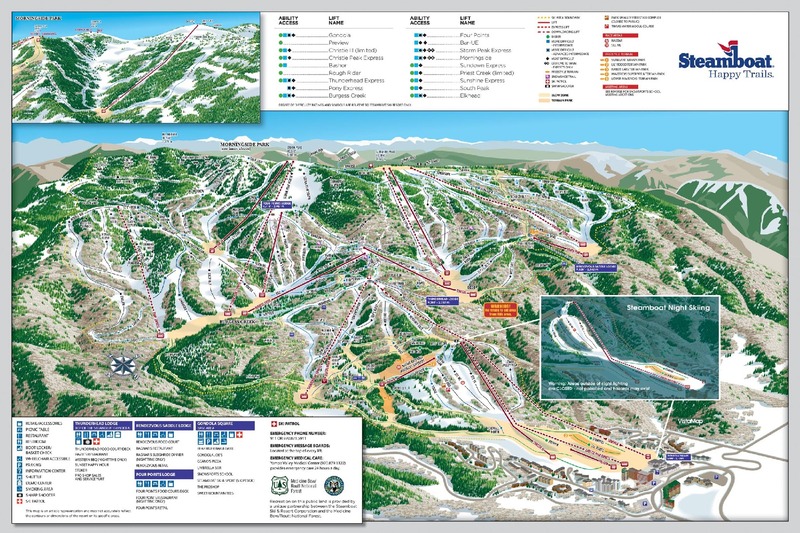 The Morningside Park Expansion opened 179 acres of new terrain in Steamboat in 97/98. The Pioneer Ridge Expansion added 1020 acres area of intermediate and advanced terrain to the north of the existing ski area and a new high speed chairlift - The Pony Express. In recent years Steamboat has seem multi-million dollar improvements to lifts and terrain with the addition of the Sunshine Express Lift, Christie Peak 6-Pack Express and the regrading of the entire base area to offer even more beginner terrain. 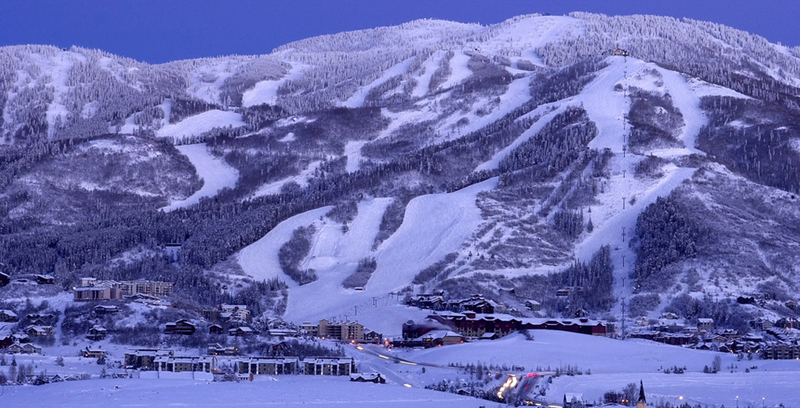 With the current redevelopment of the base area there is no doubt as to Steamboat's future as a World Class ski area.